An enchanting vintage engraving of a stunning bouquet tinted with vintage tones. 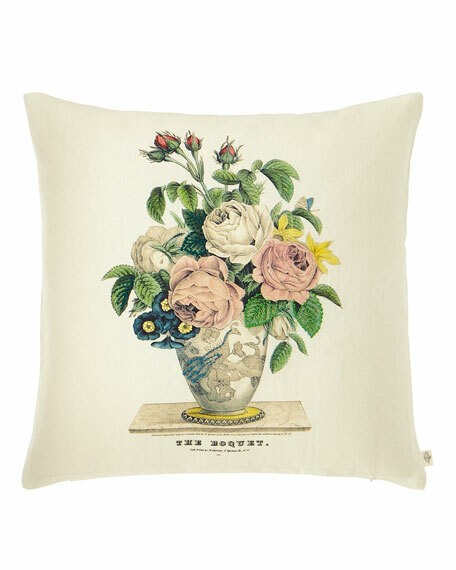 This stylish decorative pillow is digitally printed onto pure linen with embroidered highlights. 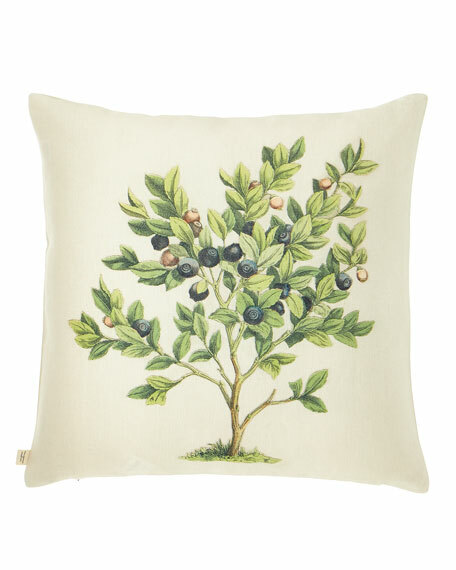 Reverses to a charming bilberry bush print on the reverse. Designers guild for John Derian.